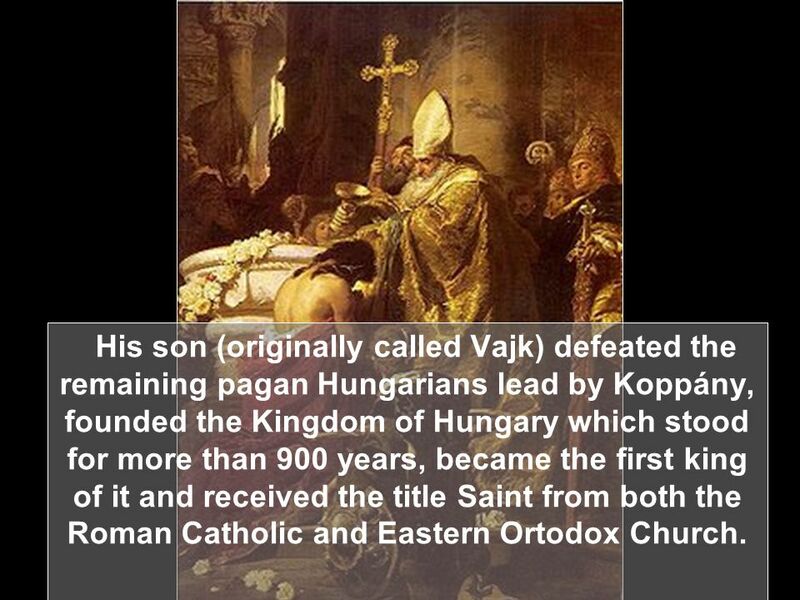 History of the Hungarian People. 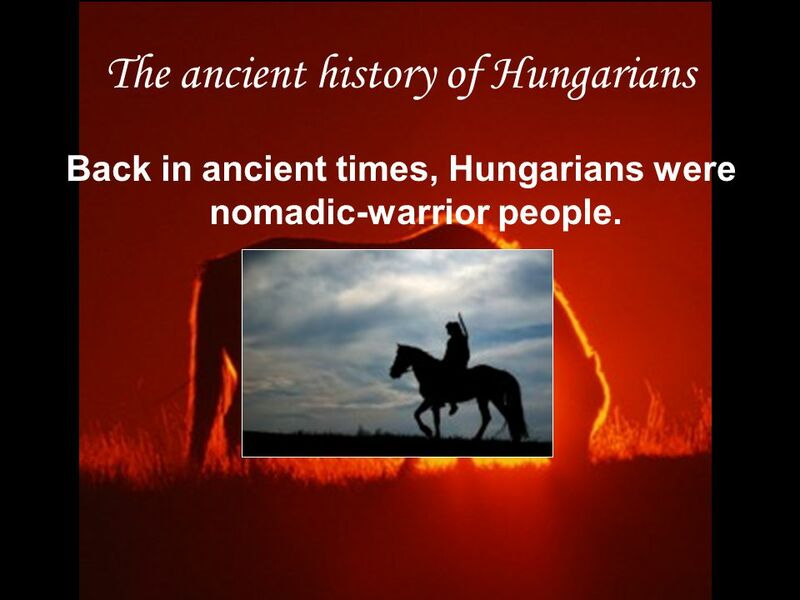 The ancient history of Hungarians Back in ancient times, Hungarians were nomadic-warrior people. 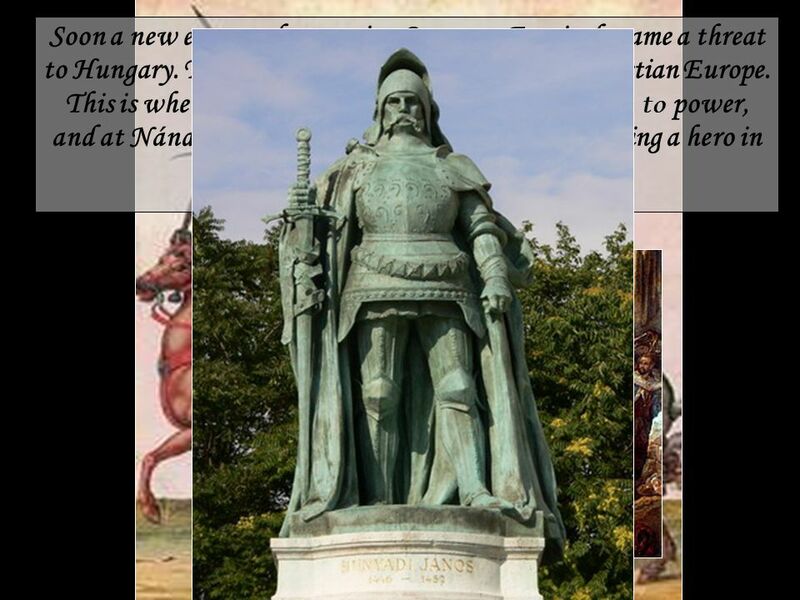 2 The ancient history of Hungarians Back in ancient times, Hungarians were nomadic-warrior people. 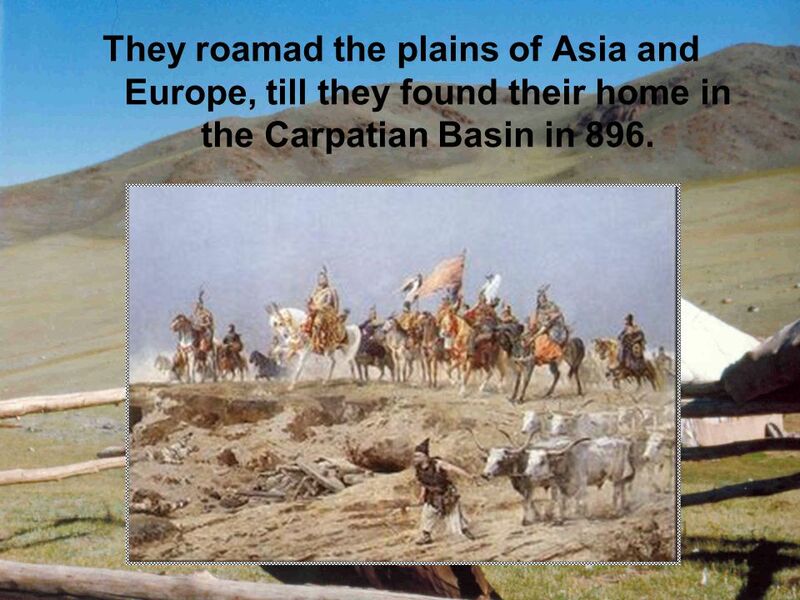 3 They roamad the plains of Asia and Europe, till they found their home in the Carpatian Basin in 896. 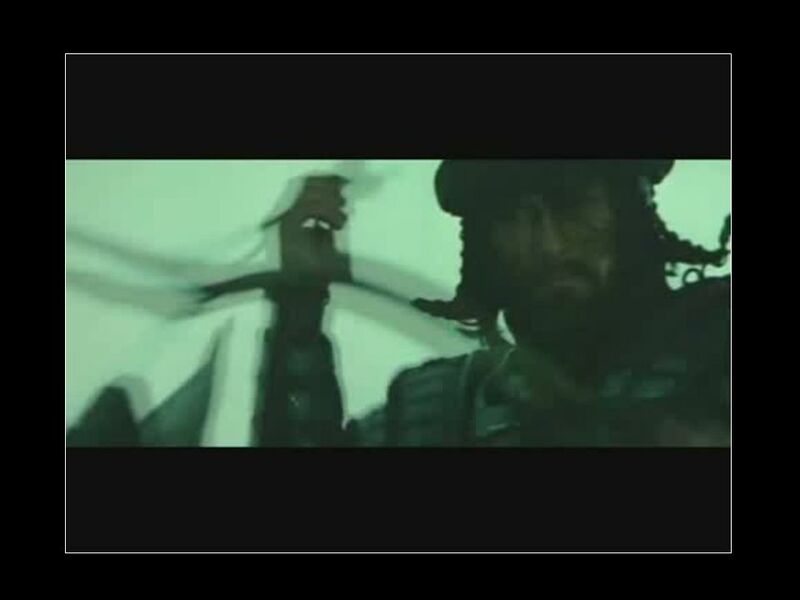 4 They were fierce warriors, skilled horseman and masters of the bow. 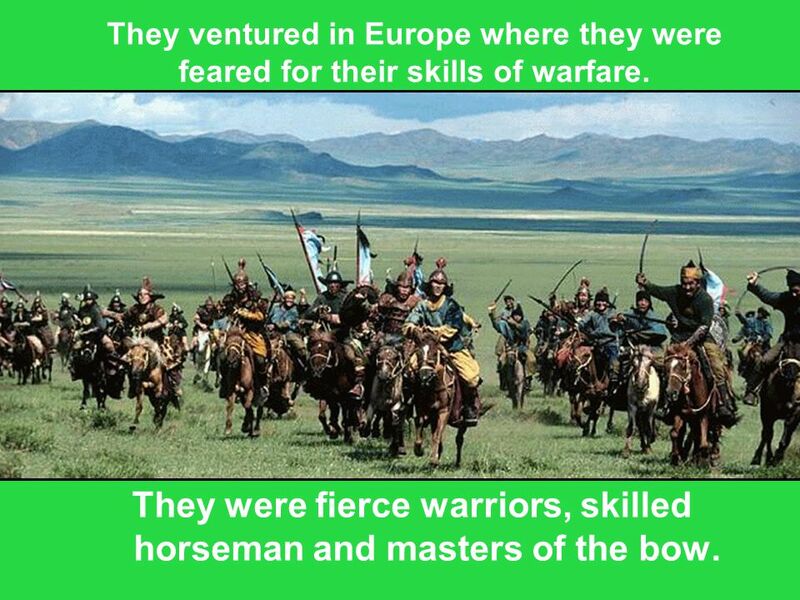 They ventured in Europe where they were feared for their skills of warfare. 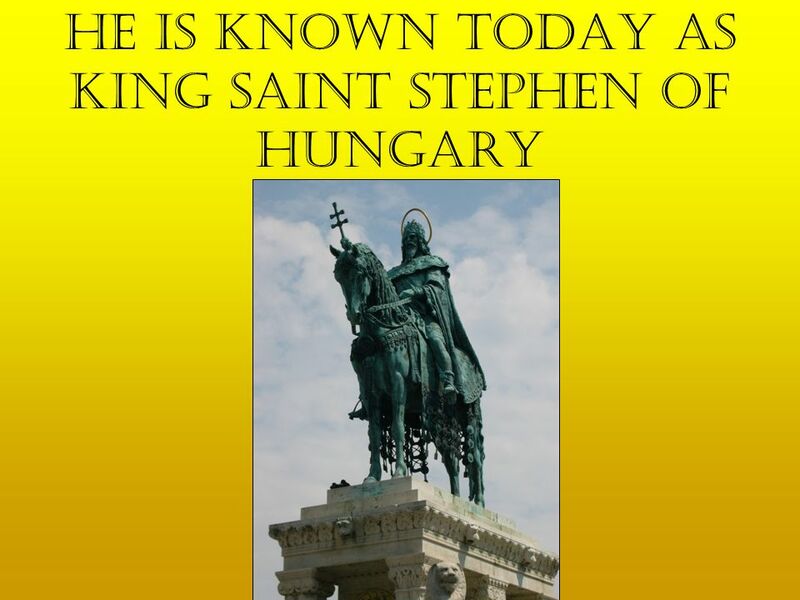 7 His son (originally called Vajk) defeated the remaining pagan Hungarians lead by Koppány, founded the Kingdom of Hungary which stood for more than 900 years, became the first king of it and received the title Saint from both the Roman Catholic and Eastern Ortodox Church. 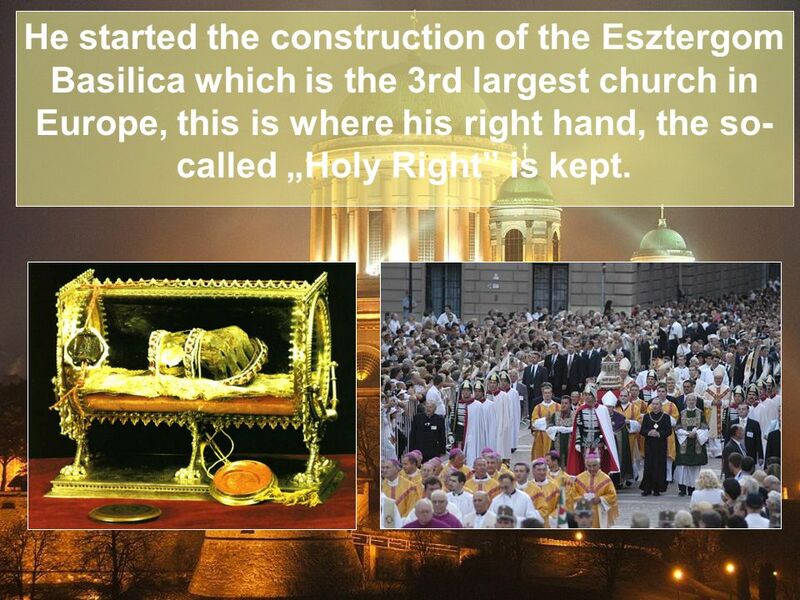 9 He started the construction of the Esztergom Basilica which is the 3rd largest church in Europe, this is where his right hand, the so- called „Holy Right” is kept. 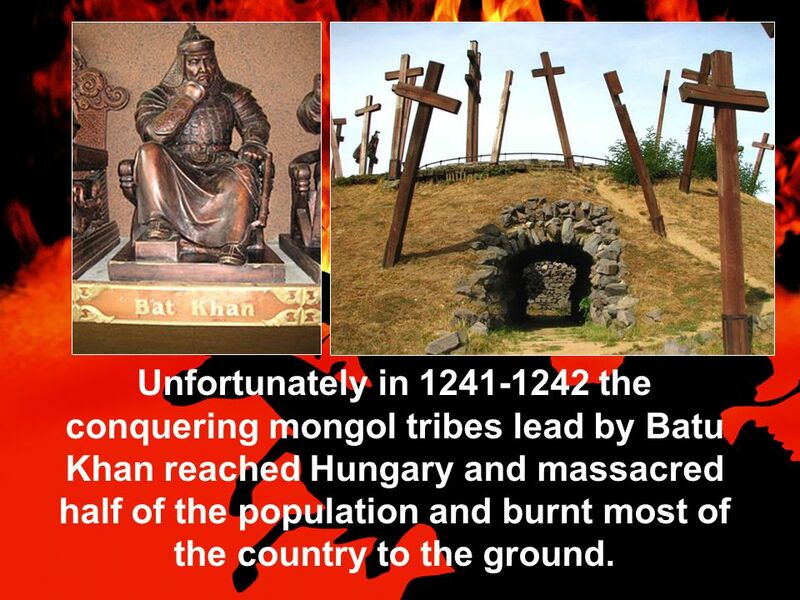 11 Unfortunately in 1241-1242 the conquering mongol tribes lead by Batu Khan reached Hungary and massacred half of the population and burnt most of the country to the ground. 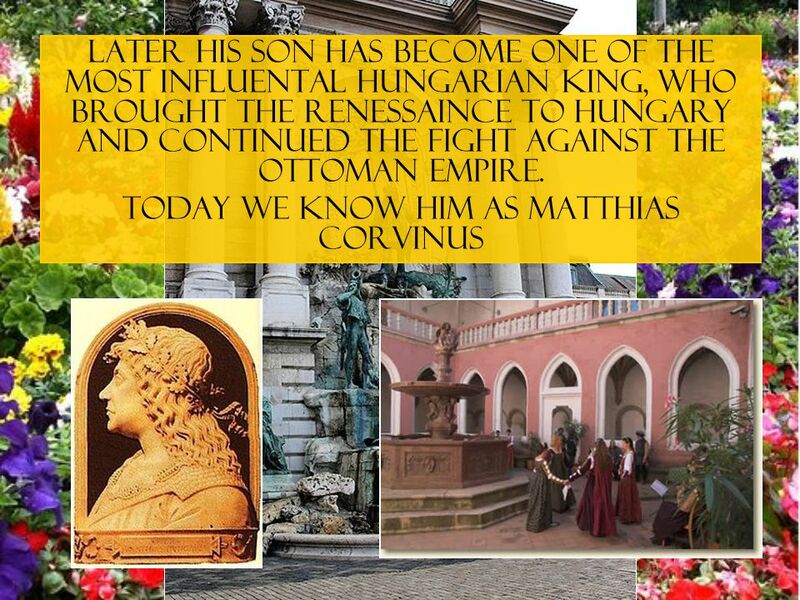 13 Soon a new enemy, the growing Ottoman Empire became a threat to Hungary. 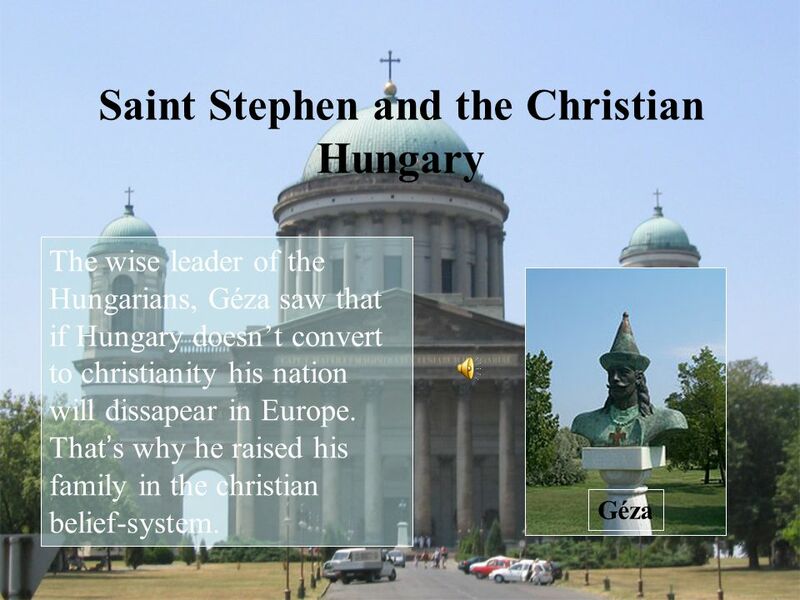 The country became the fronline of Christian Europe. This is when the great general Hunyadi János came to power, and at Nándorfehérvár he defeated the Turks, becoming a hero in over Europe. 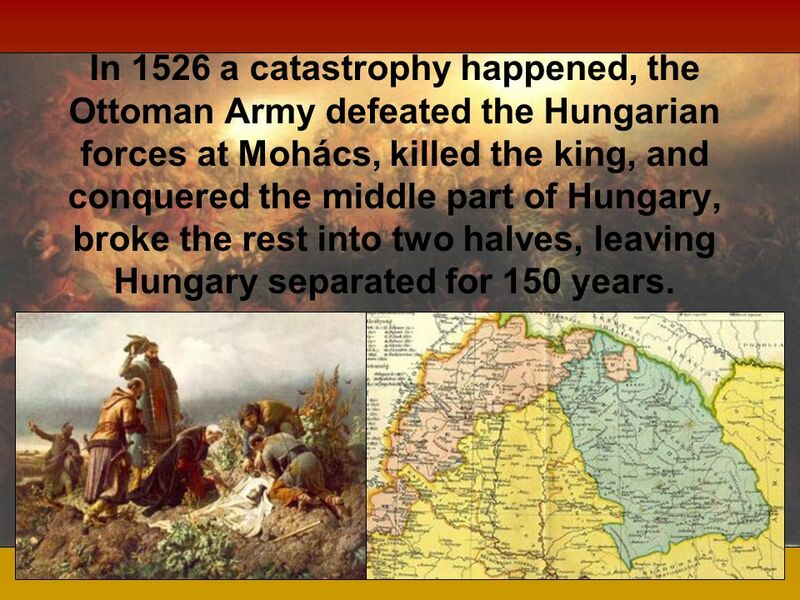 15 In 1526 a catastrophy happened, the Ottoman Army defeated the Hungarian forces at Mohács, killed the king, and conquered the middle part of Hungary, broke the rest into two halves, leaving Hungary separated for 150 years. 16 Finally in 1683 an international effort was made to chase out the Turks from Europe. 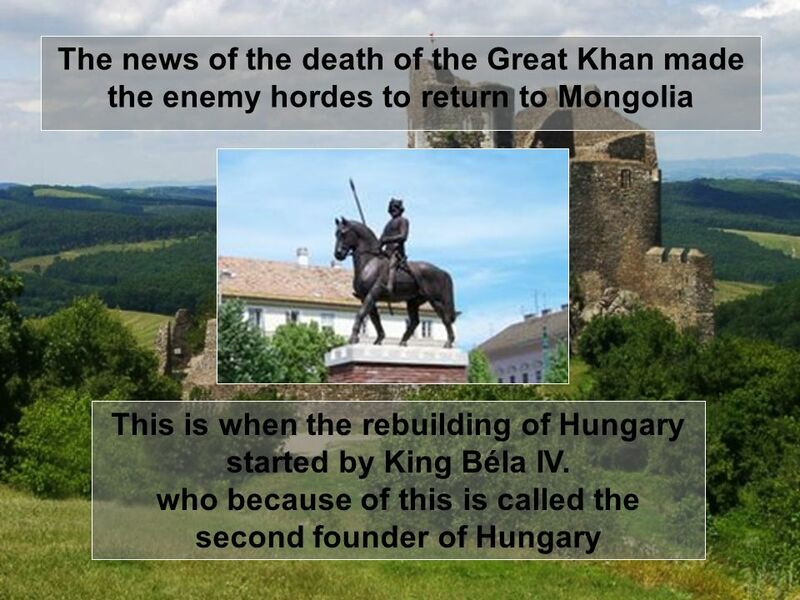 In 1699 Hungary was freed from the Turks, but payed a big price. 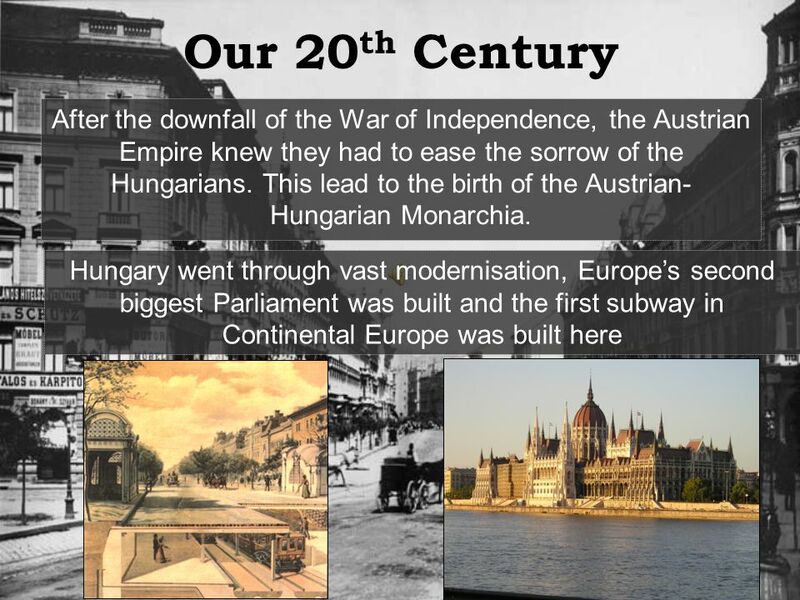 We had become the a part of the Habsburg- Austrian Empire and lost our independence. 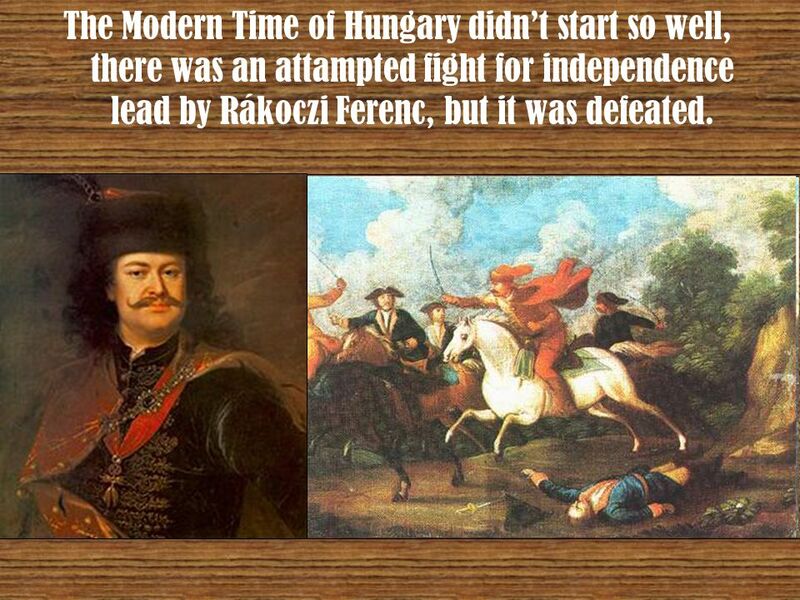 18 The Modern Time of Hungary didn’t start so well, there was an attampted fight for independence lead by Rákoczi Ferenc, but it was defeated. 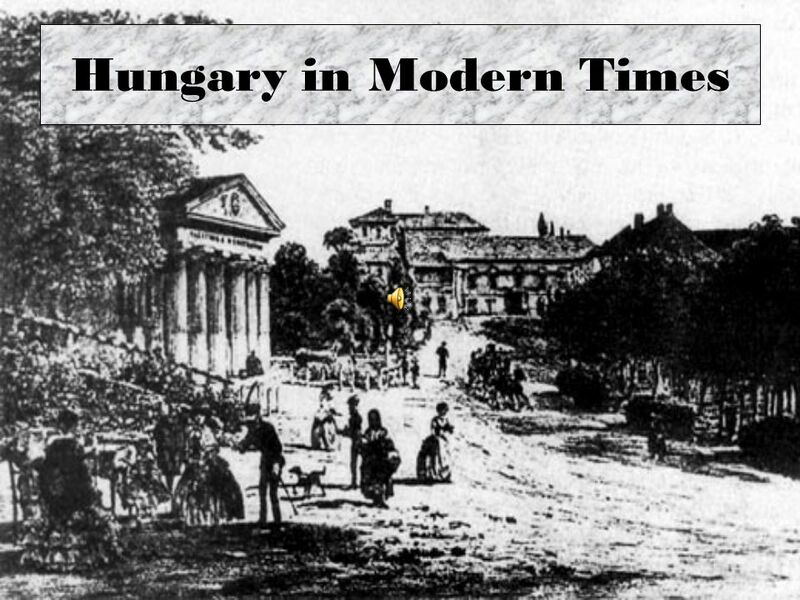 19 Later on Hungary started to develop, the so- called Reform Age began with the leadership of the two most cherished Hungarian politicanS, Széchényi István and Kossuth Lajos. 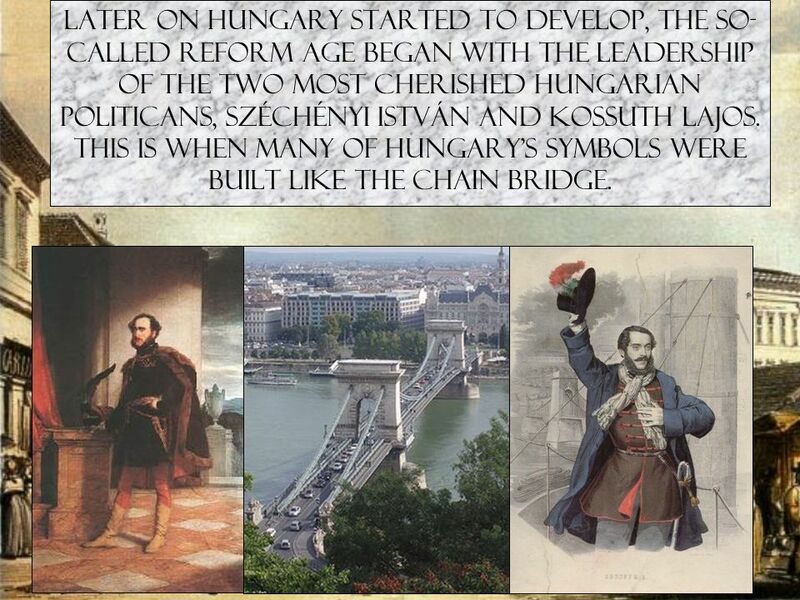 This is when many of Hungary’s symbols were built like the Chain Bridge. 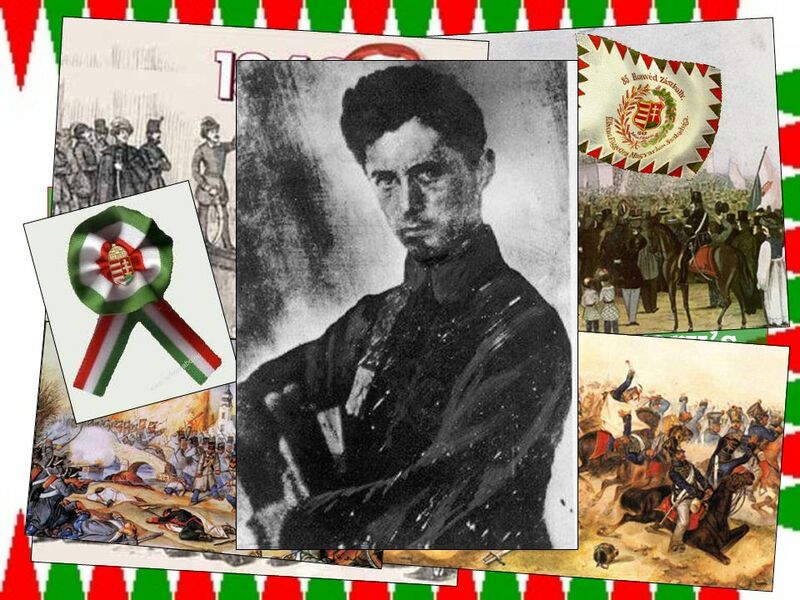 20 This eventually lead to Hungary’s most celebrated date, March 15 where The War for Independence started by Petőfi Sándor, Hungary’s national poet. 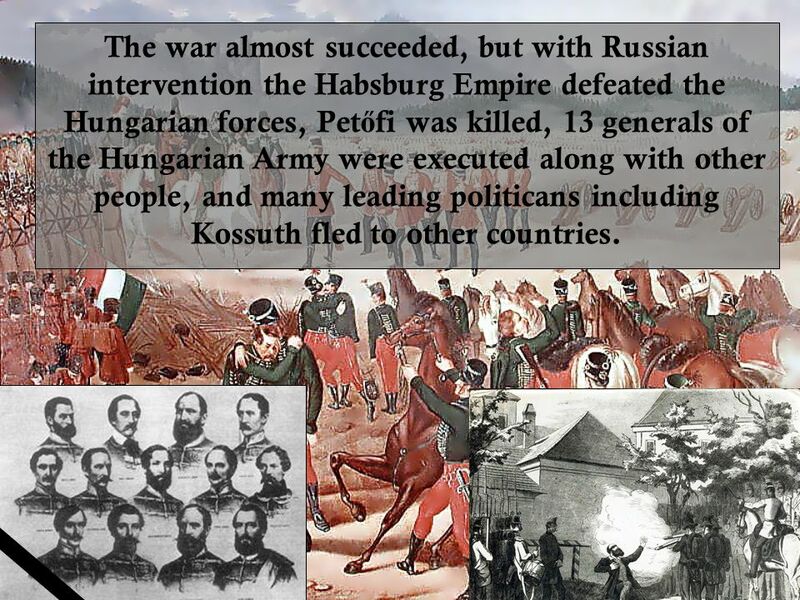 21 The war almost succeeded, but with Russian intervention the Habsburg Empire defeated the Hungarian forces, Pet ő fi was killed, 13 generals of the Hungarian Army were executed along with other people, and many leading politicans including Kossuth fled to other countries. 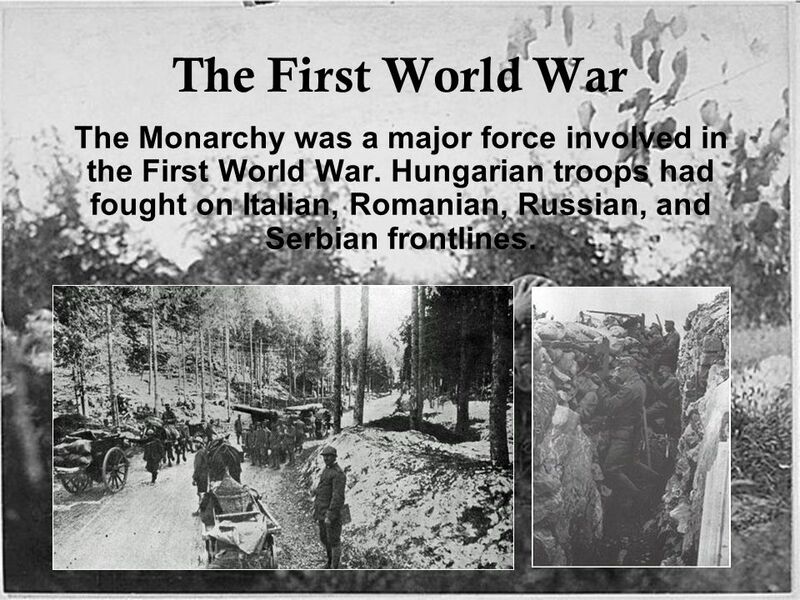 23 The First World War The Monarchy was a major force involved in the First World War. Hungarian troops had fought on Italian, Romanian, Russian, and Serbian frontlines. 24 The Monarchy had fought on the side of the German Empire, and it’s casualty was 385 000, but that was only the beginning. 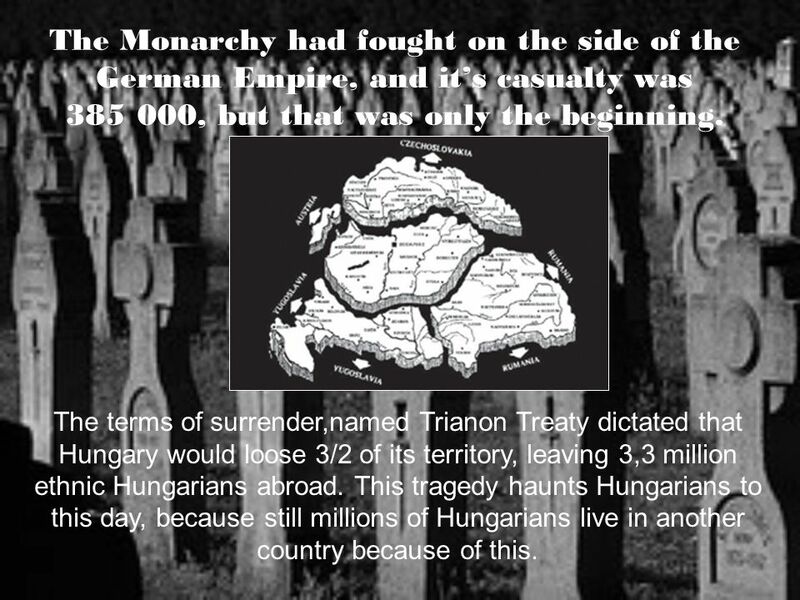 The terms of surrender,named Trianon Treaty dictated that Hungary would loose 3/2 of its territory, leaving 3,3 million ethnic Hungarians abroad. 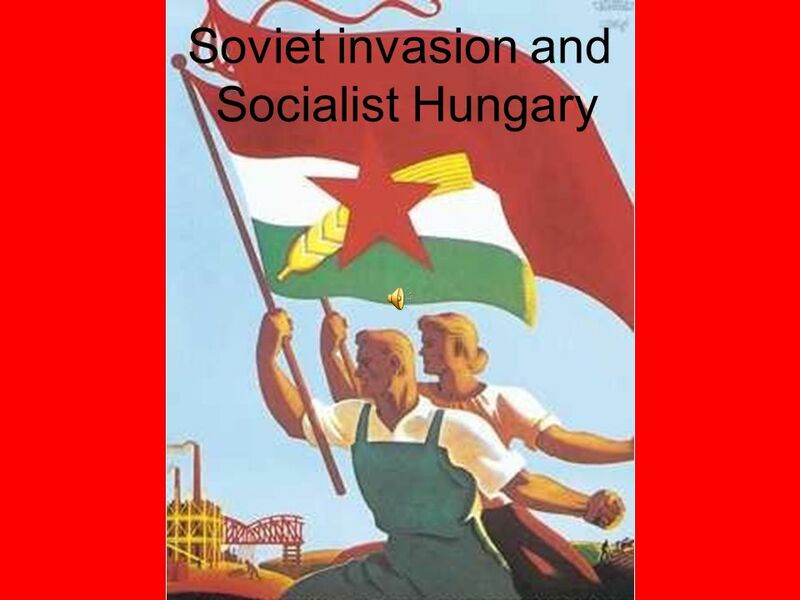 This tragedy haunts Hungarians to this day, because still millions of Hungarians live in another country because of this. 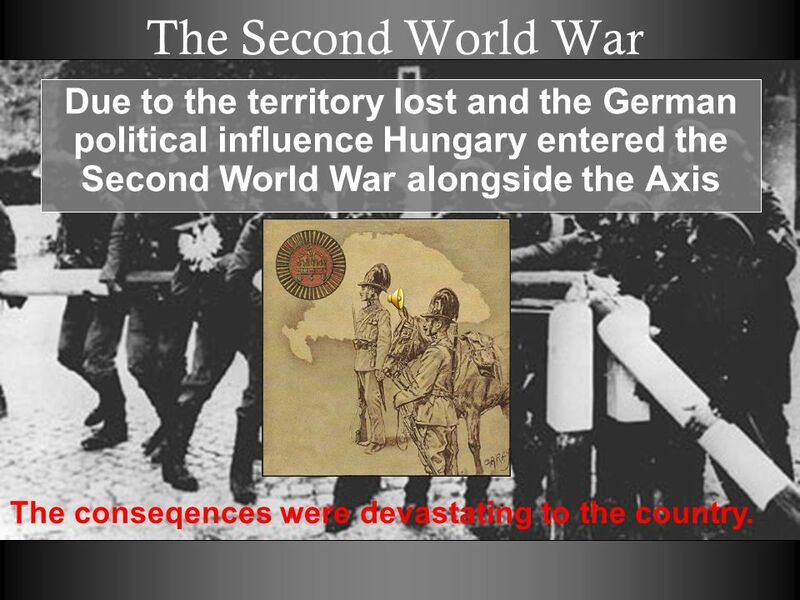 25 The Second World War Due to the territory lost and the German political influence Hungary entered the Second World War alongside the Axis The conseqences were devastating to the country. 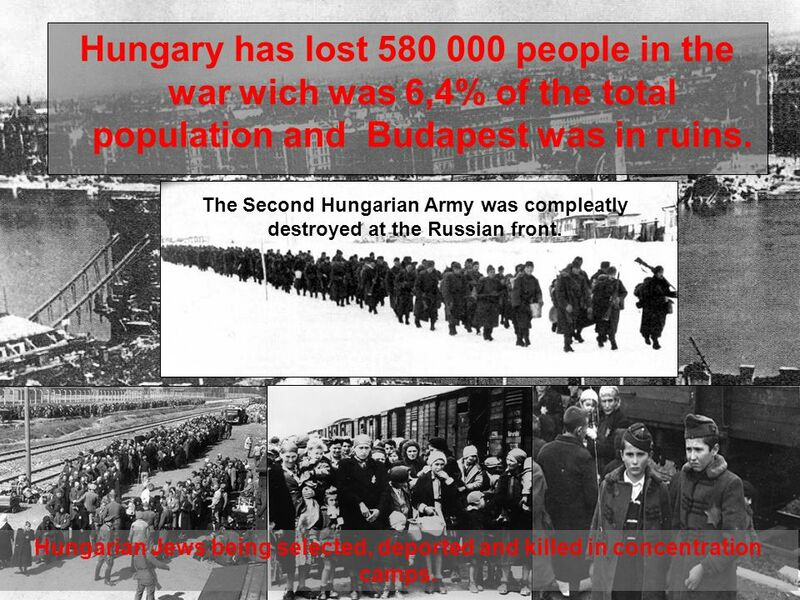 26 Hungary has lost 580 000 people in the war wich was 6,4% of the total population and Budapest was in ruins. The Second Hungarian Army was compleatly destroyed at the Russian front. Hungarian Jews being selected, deported and killed in concentration camps. 28 At the end of WW2 Hungary was occupied by the Red Army, becoming a part of the Eastern Block for 50 years under the oppression of the Soviet Union and Hungarian Communist leaders like Rákosi Mátyás Like in any other Eastern Block country at the time, there weren’t any free elections held, the Secret Police searched and dealt with the „politically incorrect” and the everyday life of the people was dictated by the State. 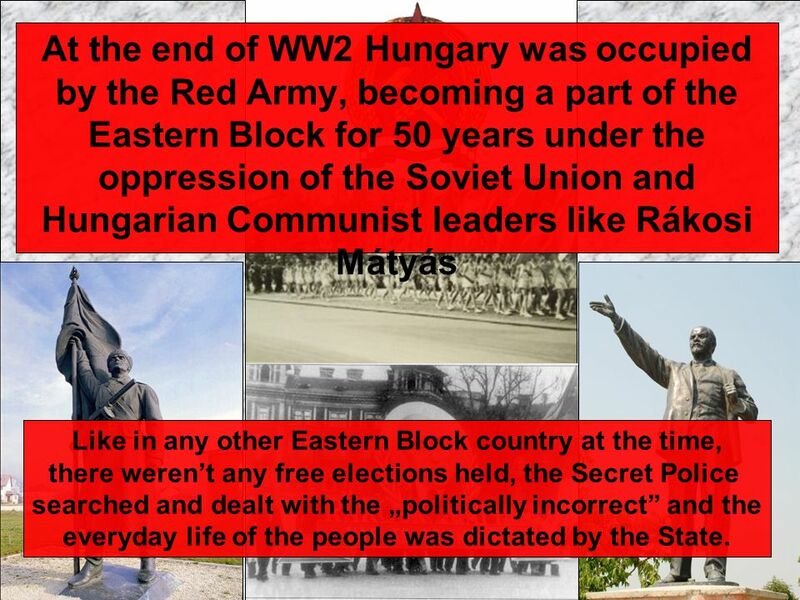 29 This eventually lead to the 1956 Revolution where Hungary fought against the oppresion. The event was started by university students demonstrating and became an all-nation revolution. 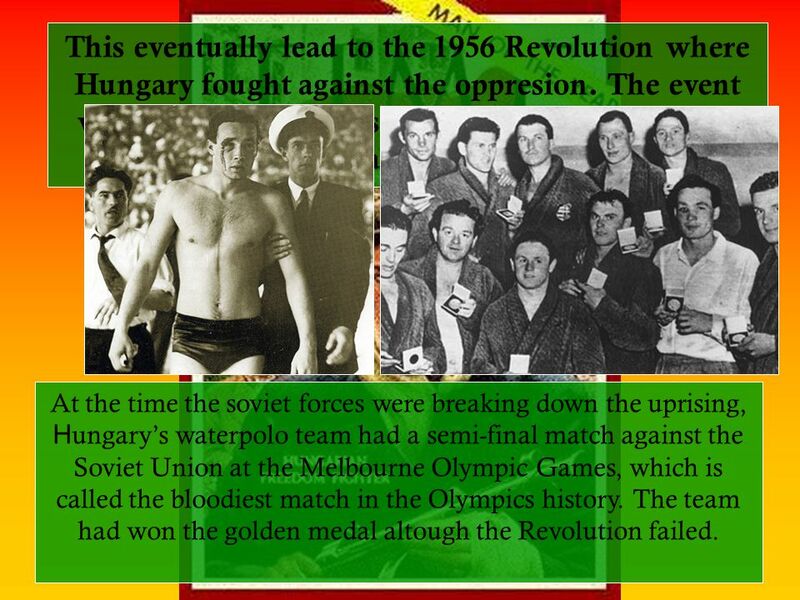 At the time the soviet forces were breaking down the uprising, H ungary’s waterpolo team had a semi-final match against the Soviet Union at the Melbourne Olympic Games, which is called the bloodiest match in the Olympics history. The team had won the golden medal altough the Revolution failed. 31 After the Revolution and the bloody retaliation, the State’s leadership knew they had to provide a better life quality for the people. Altough the politicics were still the same the people now had little moore freedom and better life circumstances, so there weren’t any more uprising. 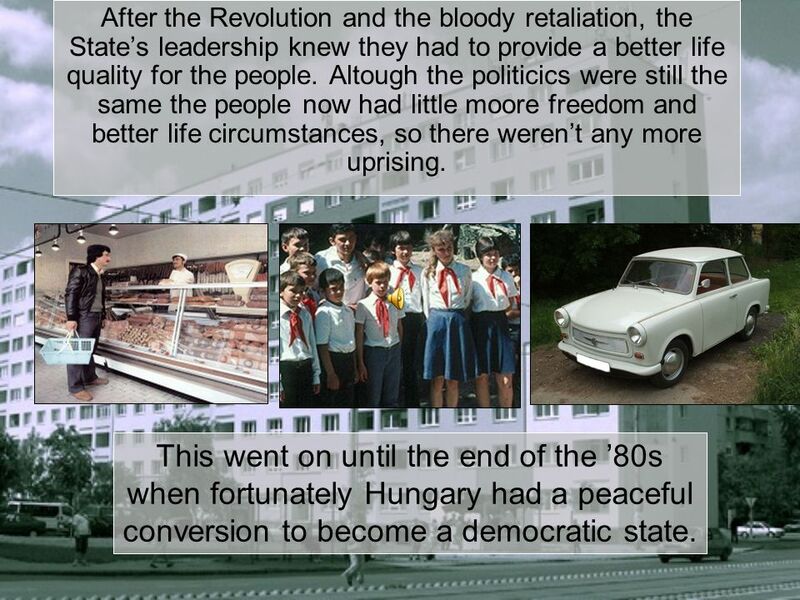 This went on until the end of the ’80s when fortunately Hungary had a peaceful conversion to become a democratic state. 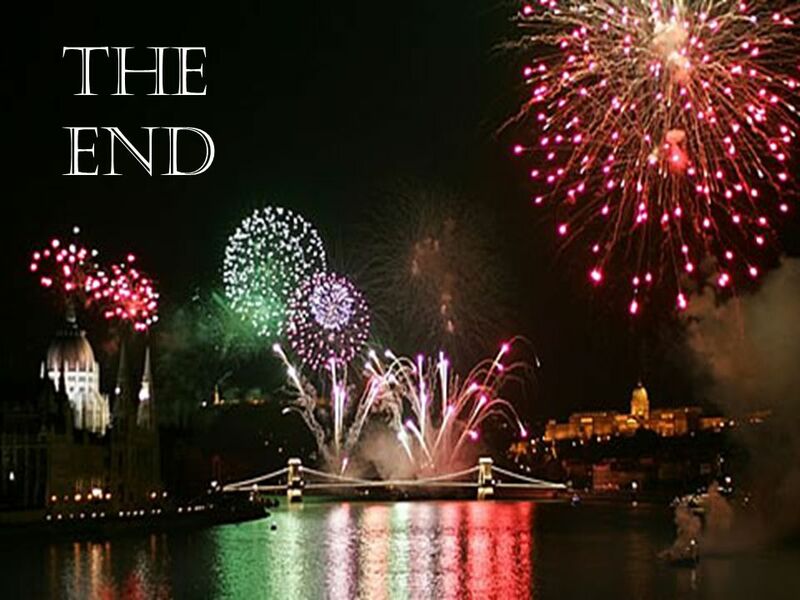 32 A free Hungary Today Hungary is a democratic country and a member of the European Union since 2004. 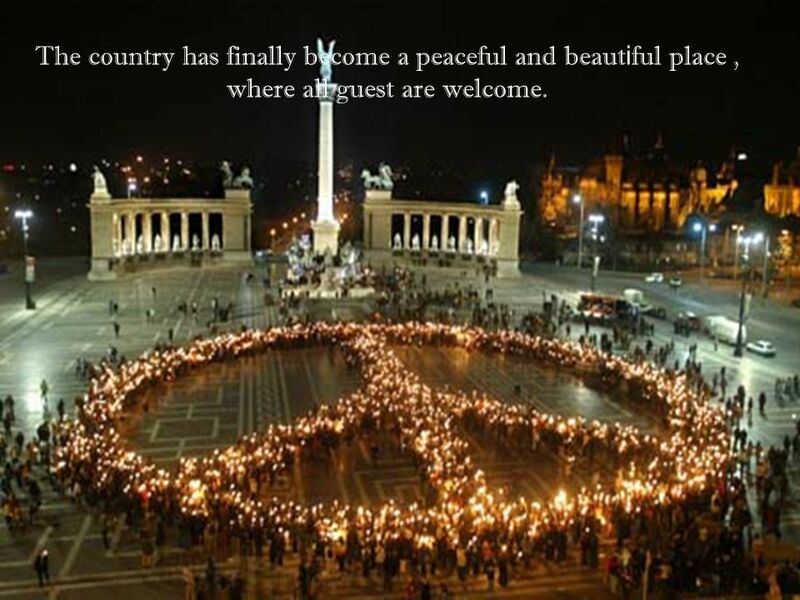 The country has finally become a peaceful and beaut i ful place, where all guest are welcome. 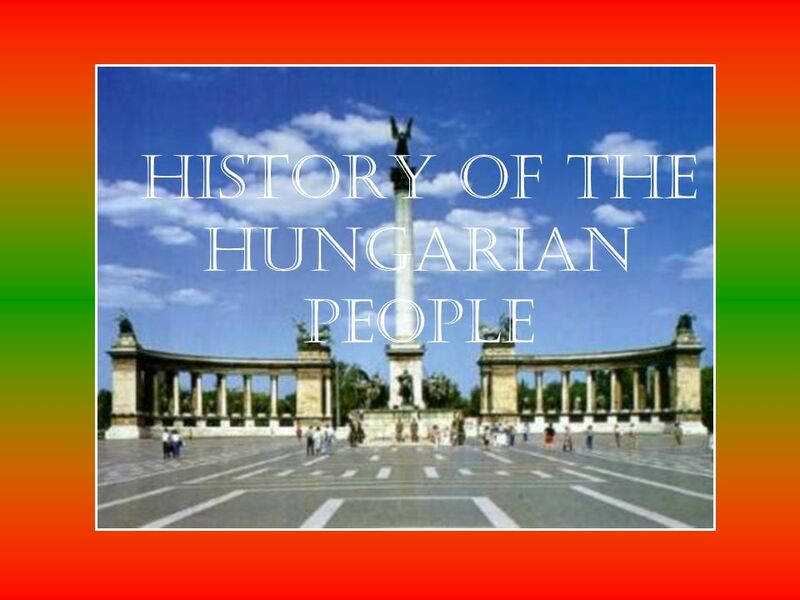 Download ppt "History of the Hungarian People. 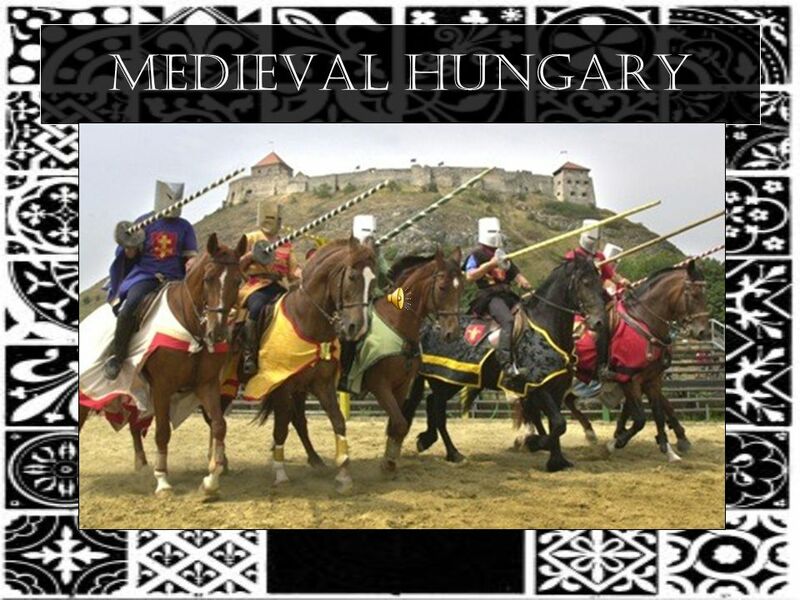 The ancient history of Hungarians Back in ancient times, Hungarians were nomadic-warrior people." Chapter Sixteen Central Western Europe Section Two Germany. 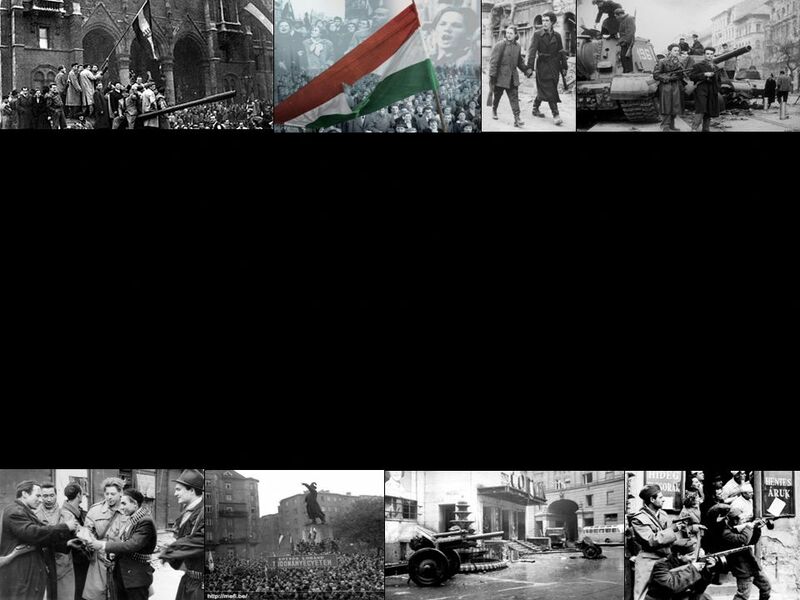 What were the causes, events and results of the Hungarian Uprising? Nationalism a belief, creed or political ideology that involves an individual identifying with, or becoming attached to, one's nation, national identity. 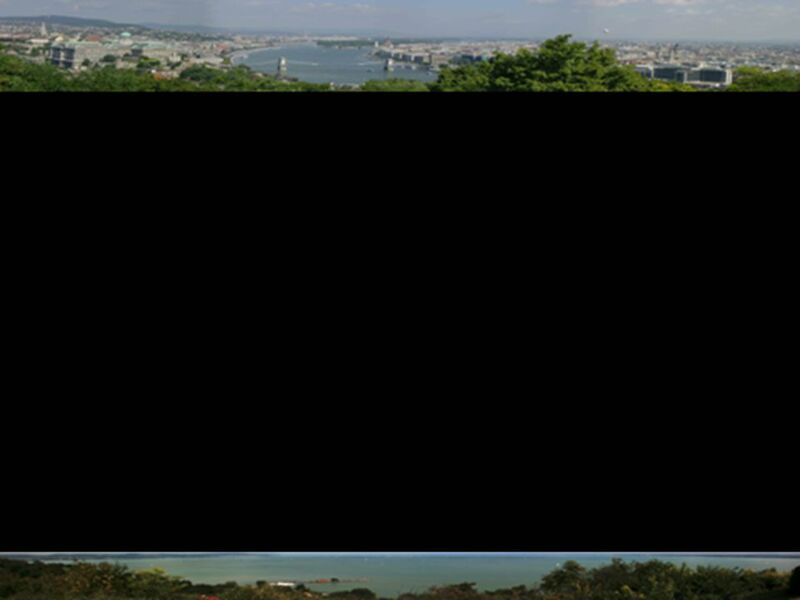 Geography Hungary is a landlocked country situated in the Carpathian basin and bordered by Slovekia to the north, Ukraine to the northeast, Romania to. History of Austria. 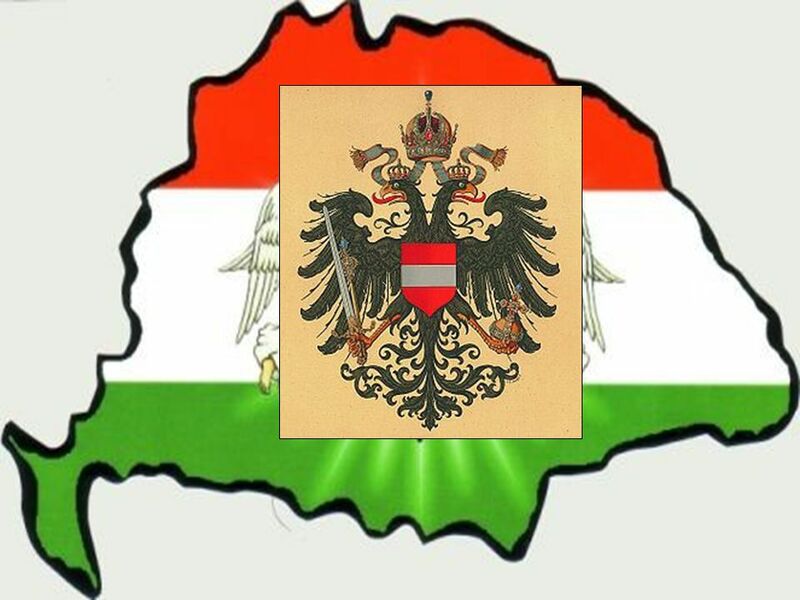 Empire of Austria ( ) For an almost incredibly long period Austria was ruled by members of the Habsburg dynasty. For an almost. What is DEMOCRACY? "All for the People and All by the People; Nothing About the People Without the People - That is Democracy!„ Spoken before the Ohio. Do Now: Grab a textbook and use the map on page 303 to answer these questions: Which Germanic kingdoms were the largest in 500? What Geographic factors. Russia, The Soviet Union, Russia. Before Russia was the Soviet Union… Russia was a monarchy with the leader called a Czar. (title for the leader which. The Second Punic War Lesson 23 part 2. In 238 B.C. the Carthaginian general, Hamilcar Barca, left for Spain to raise a new army to fight another war against. The Mongol Empire The Mongols ruled the largest unified land empire in history. They were conquering Slavs in Russia and Muslims in Arabia- so all over. The Russian Revolution occurred in a feudal society (farmer based) happened because the Russian Czar (king) was not able to adapt to a changing world resulted. Unrest in Austria- Hungary 25.5 Nationalist groups in Austria Hungary and the Balkans struggle violently for independence. Abby Grandinetti 3 rd period History of the Magyars Abby Grandinetti 3 rd Period. The Russian Empire. In Russia… There are: There are: –90 different ethnic or cultural groups –80 different languages spoken –11 different time zones –Coasts. Mongolian Empire. I. Mongols A. Mongols lived in an area North of China B. Nomadic tribe that raised cattle, goats, sheep, and horses C. Followed their. Why were the Balkans a problem area before 1914? Nationalism in Europe Section 3 Main Idea Nationalism broke down two old European empires—the Austrian Hapsburg Empire and the Ottoman Empire. Austria-Hungary.  (r )Head of the Austrian Habsburg, emperor ruler in Austria, king of Bohemia, and the king of Hungary, which he reconquered from the Turks.